Milano Cloakroom Toilet & Basin Suite - Only £269.99! In stock now for just £269.99 including VAT! Hurry while stocks last! The Milano sanitaryware set is one of the most cutting-edge, modern-looking available anywhere today. 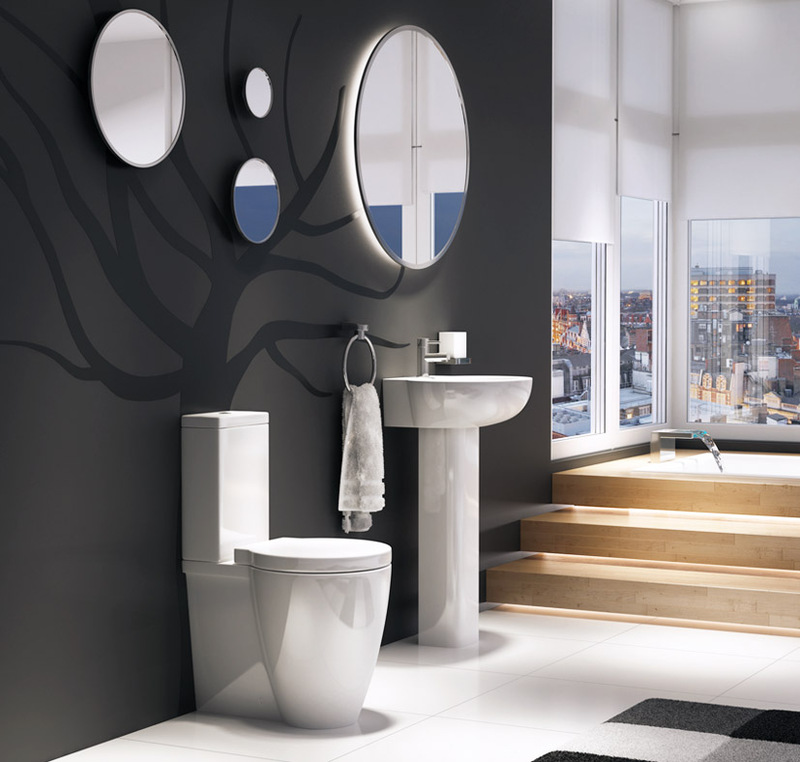 Boasting the very latest sleek Italian design, this gorgeous basin and toilet combination offers stunning looks far above and beyond the competition. With eye-catching swooping shapes and stunning curves, this eye-catching cloakroom suite is sure to create an impression. It has contemporary styling and a beautifully smooth, high-gloss finish, and would be an eye-catching addition to any bathroom. 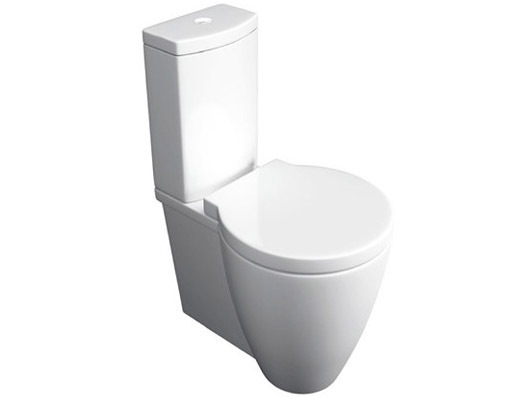 The luxurious toilet featured in this set features a deluxe Soft Close, Quick Release seat and a 3/6 Litre Dual Flush. Manufactured in high-quality vitreous china to the highest standards, the Milano offers an unbeatable mix of quality and value, with looks that set it apart from the crowd. VIP Basin & Toilet Cloakroom Sets Are The Perfect Choice For Ensuites, Cloakrooms Or Smaller Bathrooms. Many modern homes feature cloakrooms or ensuites as standard, limiting the amount of room available, meaning that sometimes the traditional full bathroom suite simply is not an option. VIP Bathrooms have solved this with the below range of Basin & Toilet Sets, containing a WC Pan, Toilet Seat, Basin and Pedestal. Also known as the 4 Piece Pot Pack, these provide an effective all-in-one solution, while providing big discounts compared to buying these items separately. At VIP Bathrooms we pride ourselves on offering a range of cloakroom suites / 4 piece pot packs that are of the highest quality and standards. Whether you seek a modern design set featuring sleek lines and a quality finish, or a traditional and classical style set which exudes timeless elegance, you will find it here at VIP Bathrooms, and at an extremely competitive price. The above can be ordered separately as a special order. Please contact us for details. 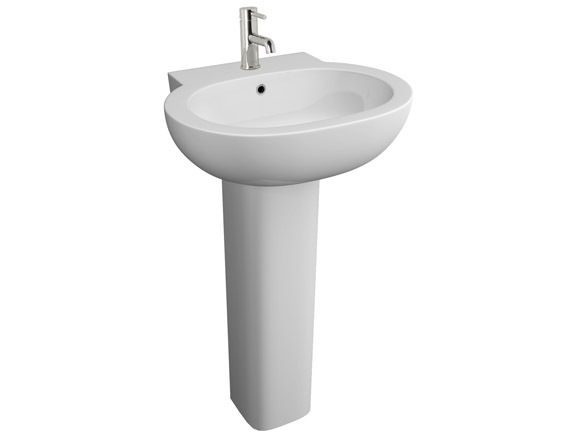 Please Note: The Milano Basin is sold without the tap shown, which is available as an optional extra. Click here to see our range of stunning taps and mixers.